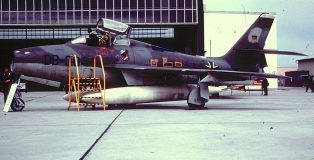 No less than 450 F-84F’s were delivered to the Luftwaffe (that is to say the West German Air Force) commencing in 1956 with assignments to the Fighter Training School and Weapons School at Fürstenfeldbrück and Erding respectively. 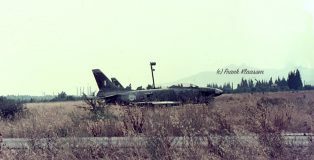 In the old days NATO organized several exercises; TWM (Tactical Weapons Meet) was a competition between 2ATAF and 4ATAF (Allied Tactical Air Force). 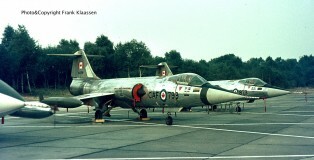 In 1972 it was held for the 10th time and participants at Florennes in Belgium were Canadian AF Starfighters (Judge Team), Belgian AF Starfighters) (2nd Wing , Florennes), French AF Mirages (Guest Team, Esc.11/3, Nancy-Ochey) ,W.German AF Starfighters (JBG31, Nörvenich and JBG33, Büchel), R.Neth.AF(311/312 sq., Volkel, Starfighters), Royal Air Force Germany (14/17/31 sq.,Brüggen with Phantoms) and USAF in Europe ( 36TFW, Bitburg and 81TFW, Bentwaters, Phantoms). 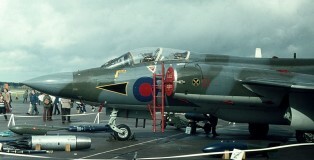 Royal Air Force Germany’s base at Laarbruch , just across the Dutch border , opened its gates to the public on September 29th , 1973 . 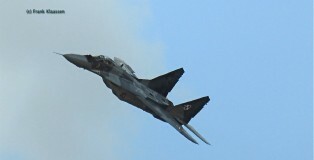 There was no Air Show , but only a small Static Show , probably due to the somewhat rainy weather conditions. Hans made some photos in black & white and Frank in colour, which you certainly will enjoy. 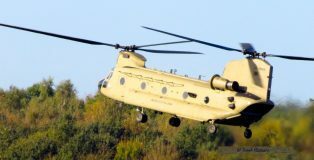 For a long time Rhein-Main AB near Frankfurt, Germany acted as the main USAFE operating base for air transport duties on the European Continent , until the base was closed in 2005 and Ramstein AB took over this task. 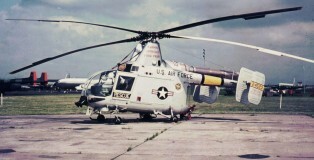 Many deployments from the U.S. took place with Rhein-Main as destination over the years. 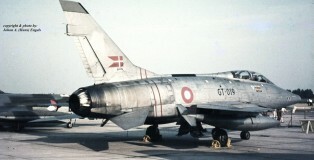 The German Thunderflashes were phased out in the years 1965-1966 in favour of the RF-104G Starfighter. 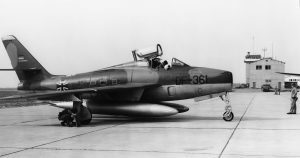 Two squadrons (Geschwader) flew the RF-84F: AKG-51 at Ingolstadt (recognizable by squadron-code EA) and AKG-52 (EB) at Erding and later Eggebeck. 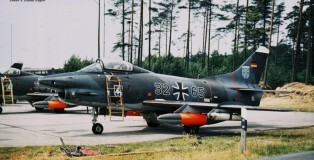 Luftwaffe squadron-codes BD was used for aircraft assigned to WS-50, the training unit at Furstenfeldbruck.